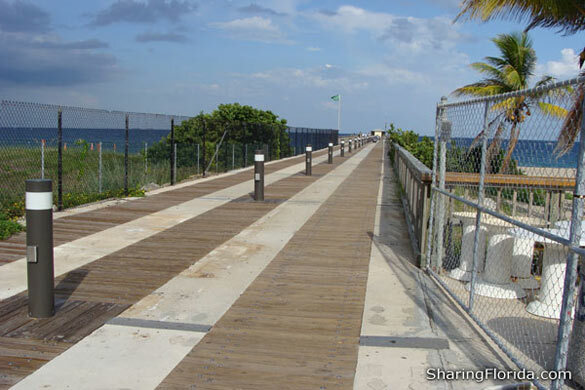 This is a fishing pier in the city of Pompano Beach. 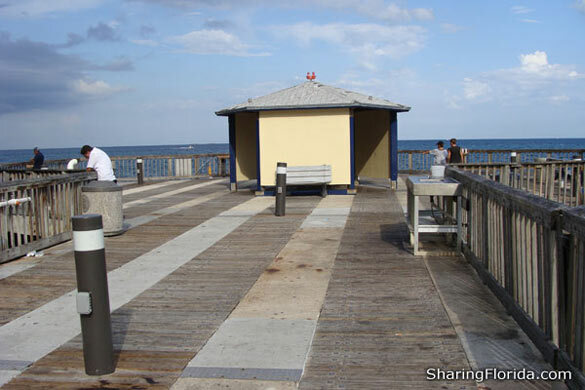 As of 2010 it is FREE to fish on the Pompano Beach Fishing Pier! There is paid parking available. Parking Prices 2010: $1 hr. This is mostly used by people who want to fish. 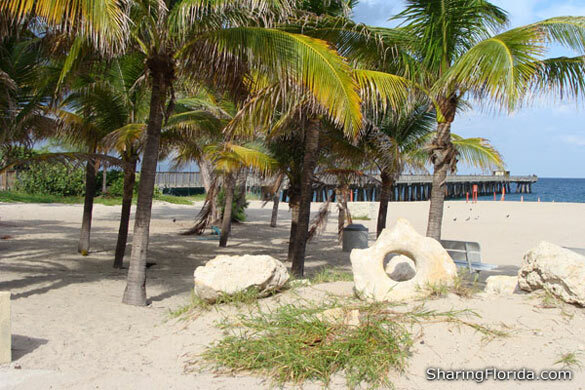 There is a small beach area which you can access for free. About 10 miles North of the Ft. Lauderdale Beach. Located on the East Coast of Florida. Nearby city is Lauderdale by the Sea. 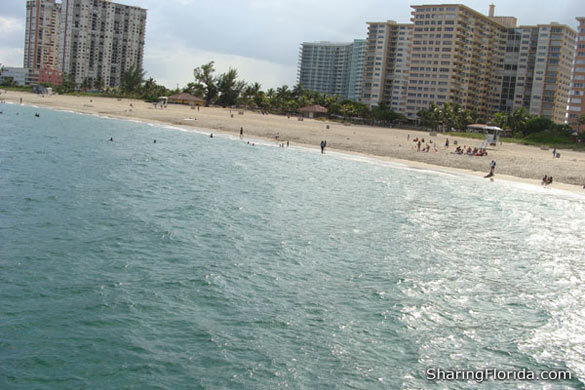 Photos here are of the pier and the beach with awesome pool-blue water.